High-end wear comfort for all your outdoor activities. 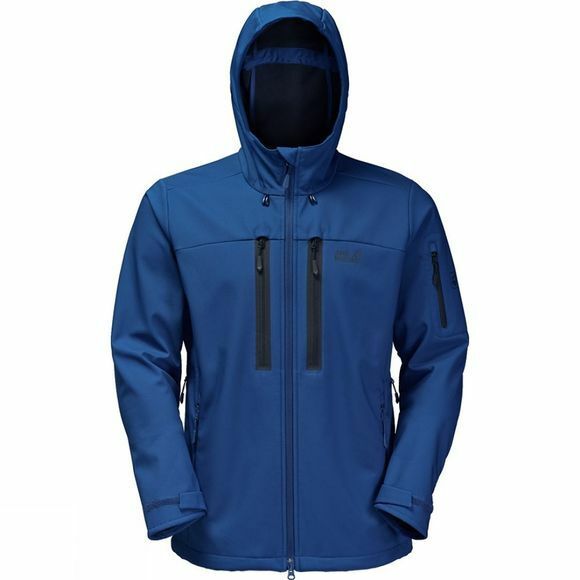 The Jack Wolfskin Men's Northern Star Jacket is a fully-featured softshell. It is made from extra high tenacity Stormlock fabric, which is fully windproof and easily copes with light showers. The Ergonomic Hood offers all round protection in most weather conditions. The fabric's high breathability and the venting zips mean you always enjoy very good wear comfort.